This glitch has been patched (fixed) by the Club Penguin team and it no longer works. Sorry! Alright, you may or may not have noticed people copying the names of other penguins on Club Penguin. Well, this is due to a recently found glitch on CP. I saw pictures of people using this glitch but I first saw the instructions posted by my friend WweAdam on his blog. I know many of you are dying to find out how to do this glitch so let's get to the instructions. 1. Go to the 'Create a penguin' page. Head over to the 'create a penguin' page because that is where the glitch will take place. Next, you need to choose the name you want. 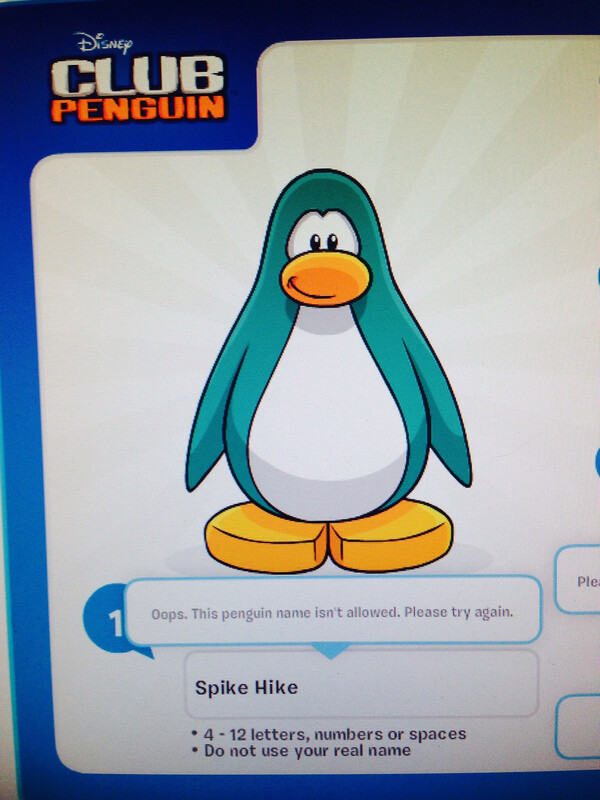 I'm going to use the name Spike Hike for this example. 3. Replace letters with Cryllic (fake) letters. That's right. You're going to use these Russian letters to stop the name from being taken. The Russian alphabet has letters that are just like ours so you can fool anybody with names. Just copy the letters below and paste it wherever you want in the name.